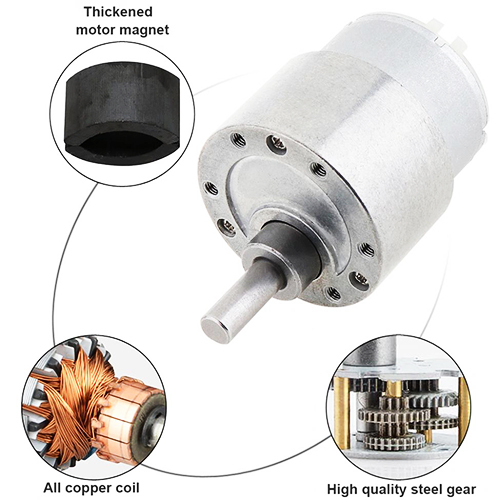 High Torque Motor 12V 1000RPM This gearmotor is a brushed DC motor with a metal gearbox that has the power to deliver both speed and torque without all the noise. 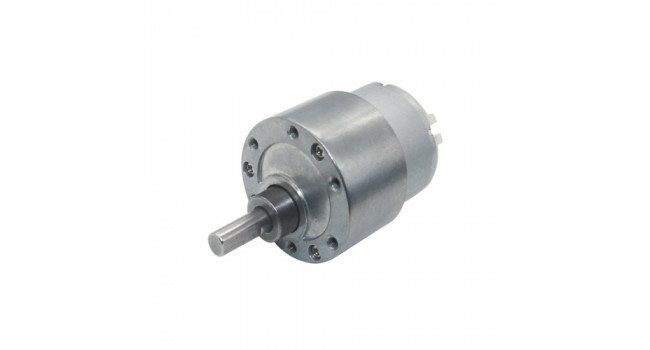 These units have a 6mm diameter D-sh..
Rotary Potentiometer 10K (4 Pack) This is a 10k rotary potentiometer. This is a much better quality potentiometer compared to the standard ones we keep. 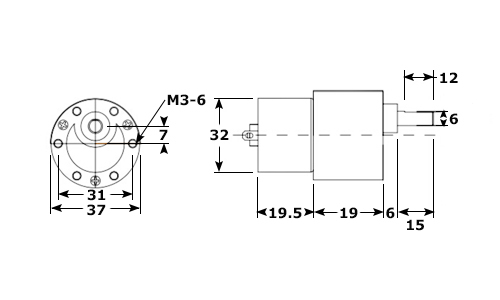 It is completely sealed unit and thus not pr..
Mini Limit Switch 12mm (4 Pack) This single-pole, double-throw (SPDT) momentary switch can be used as a general-purpose micro switch or tactile obstacle-detector for your robot. The switch body dimen..
Protoboard 5x10cm Quick Specs Protoboard 5 x 10 cm Single sided pcb dotted, non connected pads 2.54 mm pitch PCB color = green Shipping List 4 x Protoboard 5 x 1..
Samsung 18650 2900MA Lion Battery SAMSUNG INR18650-29E 2900mAh High-drain Battery - 3.5C, 10A. Long storage life, light weight and high energy density! Although the continuous rating is low at 2.75..
Mini Slide Switch Pitch 2.54 (5 Pack) These small slider switches are very handy and comes in packs of 5. 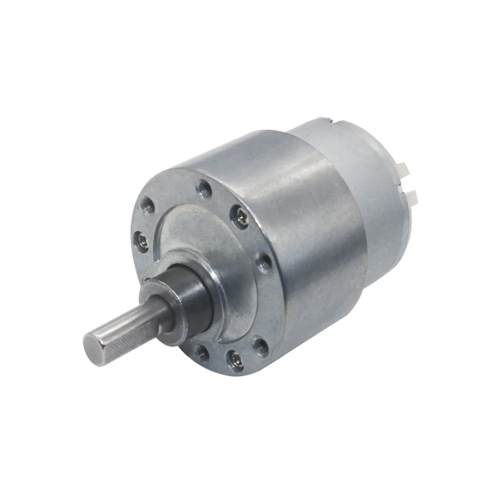 The leg spacing is 2.54mm Quick Spec Switch Type: Slide Switch - 1 Pole 2 Throw ..